This post originally appeared on Jhpiego’s website. 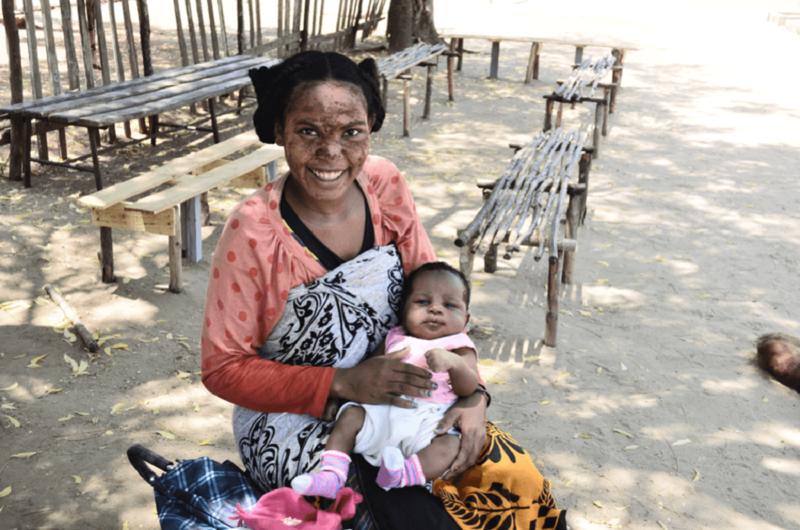 Maputo, Mozambique — As the wooden benches in the waiting area at the Alto-Maé Health Center fill with women and wobble with squirming toddlers, Nurse Celeste Machava commands the crowd’s attention. “Has anyone ever heard about cervical cancer?” she asks. After a long, anxious silence, a young mother raises her hand. “I listened to a radio spot saying that we should get screened for it,” she offers. Celeste smiles, praising the answer and inviting all to participate for the next hour in an informal discussion about cervical cancer—a disease that’s preventable if caught and treated in its early stages. As she reveals risk factors and describes symptoms, the fear in the room is palpable. Many of the women tell her they know someone who died from the disease and worry that they themselves might have it. Exuding calm competence, Celeste insists that screening isn’t only important—it’s also simple and pain free. Her goal in offering weekly educational sessions like this—specifically about cervical cancer—is to avoid the situation she has faced all too often with women who don’t come to the health center until they have symptoms. She remembers Cristina José, a 28-year-old mother of one daughter who came to Alto-Maé with uterine pain. A housekeeper by trade, Cristina was wary, but agreed to be screened. Celeste visually inspected her cervix using acetic acid (VIA)—the basic component of vinegar—to detect any precancerous cells. Once detected, many pre-cancers are easily treated simply by freezing them as soon as they are discovered, during the screening visit. The technique, known as cryotherapy, effectively prevents cancer from progressing. In Mozambique, cervical cancer is the most common cancer in adult women, with a per-100,000 incidence rate of 37.5 and death rate of 32.2. Some of the challenges in scaling up prevention services are the lack of sufficient staff trained in this specialized area and high staff rotation at facilities. The lack of early detection and treatment are barriers to reducing the burden of incidence and mortality from this type of cancer that causes lesions on the cervix. The single-visit approach, employing visual inspection and cryotherapy treatment when needed, is a safe, effective and low-cost cancer preventive pioneered by Jhpiego and adopted by the Mozambique Ministry of Health. Unfortunately, some women’s cancers aren’t discovered in time to be effectively treated with cryotherapy. Such was the case with Cristina, whose exam revealed large white precancerous patches of cells—advanced lesions which, left untreated, could become a deadly cancer. Much as Celeste prefers to be able to screen and treat patients in a single visit, that option no longer served Cristina best. She referred Cristina to the Jose Macamo Hospital so that the VIA exam could be repeated and more advanced measures conducted, including colposcopy and biopsy or loop electrosurgical excision procedure. “There, they have skilled staff to manage complex cervical cancer lesions like yours, better equipment, materials and supplies,” she had explained to Cristina. Above: Nurse Celeste Machava and Cristina José discuss cervical cancer symptoms, screening and treatment during a medical consultation. As Celeste knows all too well, the fact that she refers a patient to the hospital doesn’t mean that individual will be able or willing to go and actually get treatment. That’s why she is determined to impress upon as many women as possible the necessity to be proactive in dealing with a cancer that’s preventable and treatable. Her main message—don’t wait for symptoms to come to the health center for screening—is paying off. 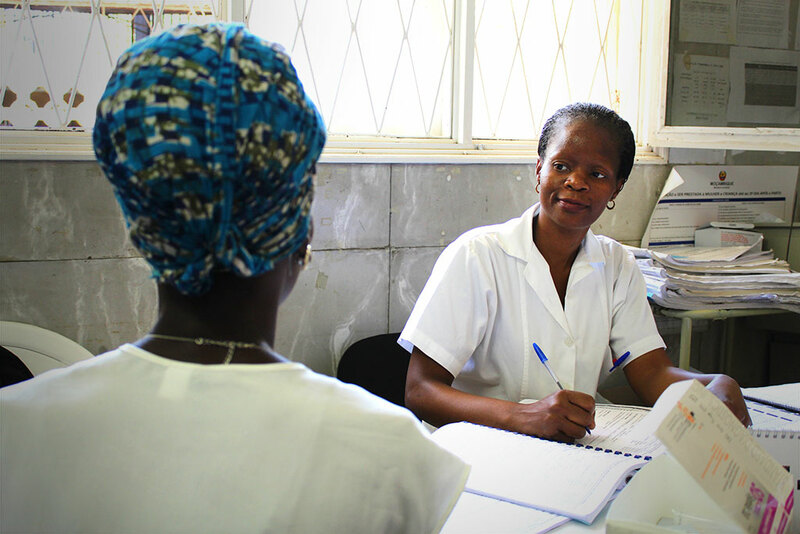 “Lots more women are coming for screening now,” says the 40-year-old mother of one who was among the first nurses trained in cervical cancer prevention and treatment (CECAP) in Maputo. Since she finished the Jhpiego-facilitated training in 2013 and began screening women, her case load has doubled, from five to 10 screenings a day at Alto-Maé Health Center. Important as it is to educate women about getting screened, it’s just as vital to increase the capacity of nurses who can offer them quality care, she insists. To that end, Celeste, an experienced provider, attended a national trainer preparation course in 2015 facilitated by USAID’s flagship Maternal and Child Survival Program (MCSP), led by Jhpiego. She returned to work with a new confidence in her ability to support other staff at her health center to offer high-quality CECAP services. The strategy has resulted in increased intra-facility referrals for women to receive screenings. 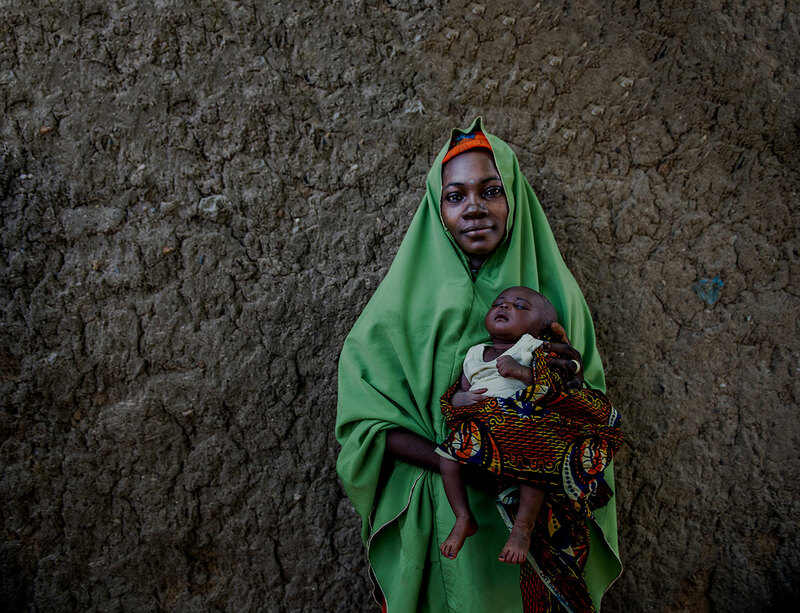 MCSP’s current support builds on earlier technical assistance and training that was funded through USAID’s predecessor flagship Maternal and Child Health Integrated Program. MCSP is continuing to provide technical support to the MOH to help scale up the screen-and-treat approach nationally and strengthen health services to ensure women receive effective, quality same day care when appropriate. MCSP’s intensive work in Sofala and Nampula provinces is focused on improving health workers’ clinical skills to prevent, diagnose and treat the disease through training, mentoring, and supportive supervision within health facilities.